ELGIN, Ill. (WLS) -- A 12-year-old boy died after he was struck by a car on Route 20 in far west suburban Elgin. 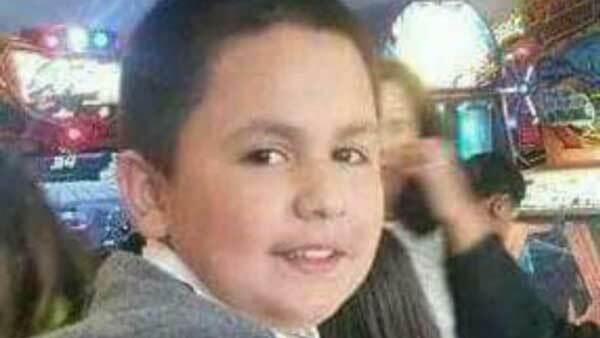 The victim's mother identified him as Gerardo Simental. Crisis counselors were available at Abbott Middle School Thursday morning to help students deal with the news of their classmate's death. Police said Simental was running across the street around 6:15 p.m. Wednesday when he was hit by a vehicle traveling east on Route 20 near McLean Boulevard. The 12-year-old boy was taken to Presence St. Joseph Hospital, where he died a short time later. The driver stopped after the accident and was not injured. Dahlia Ramos-Robles, a friend of the victim's mother and spokesperson for the family, said Simental's brother was with him at the time of the crash. He was not hurt, but she said he was deeply traumatized. Ramos-Robles created a GoFundMe account to raise money to help Simental's family pay for funeral expenses. To make a donation, visit www.gofundme.com/k7ygw8. Elgin police are investigating the crash. Anyone with information should call (847) 289-2661.